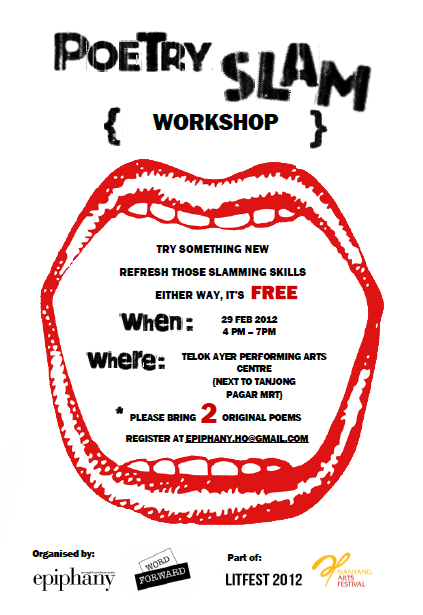 Due to a low turnout rate for our poetry slam workshop, we have deided to cancel both the workshop and the poetry slam itself. We are committed to bringing you high quality events and are truly sorry for this. We hope that you’ll attend our movie night and theatre showcase as we continue to feature the best in student works for your viewing pleasure. Do come down and support us! 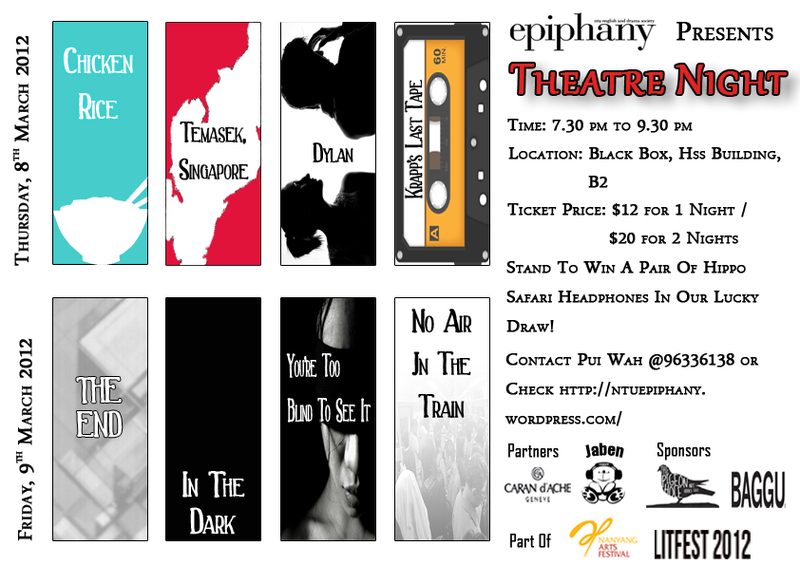 Approach any of our exco members or email us at epiphany.hq@gmail.com for tickets. This competition is open to students from NTU, NUS and SMU. The All In! Young Writers Media Festival, organised by the National Book Development Council of Singapore, explores the creative and career opportunities for young writers in the new media. Register at their website today for the seminars and talks held over the coming weekend. Obscured.sg will be doing a giveaway over the course of a month, from 26 January to 27 Feb. We’ll be giving away works from artists that we’ve previously featured, as well as Obscured.sg postcards. Epiphany Magazine is back this February with yet another exciting issue! This time round, we feature poetry and prose that will leave you Rapt (with a mouth wide open) as you attempt to get through the trippy yet enthralling lines of this issue. We are also thrilled to present our readers with an illustrated cover poster this issue; created by the talented Joan Chong! Epiphany is organizing a short story competition this litfest. Tell a story in no less (and no more!) than 6 words, and stand to win amazing prizes! Each person is entitled to submit up to 3 submissions. Please number your submissions if you are intending to submit more than 1 piece. 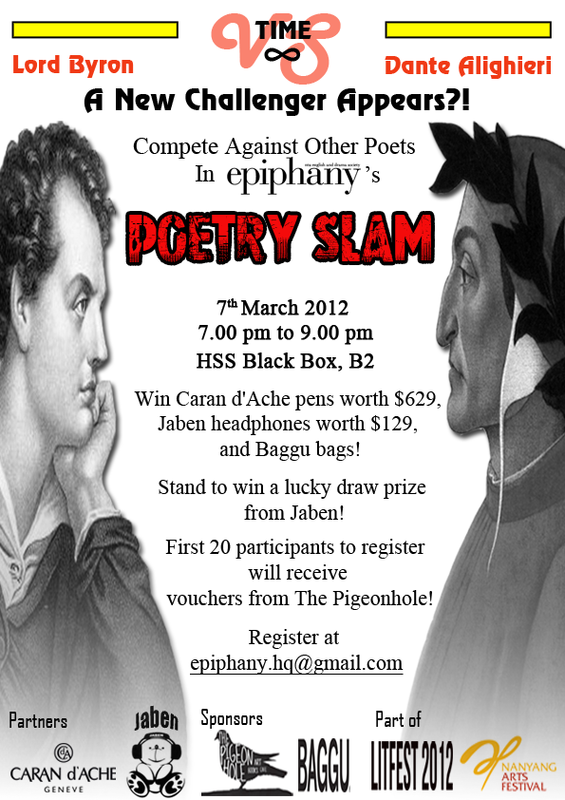 Results will be announced on 8th of March (Thursday) at Epiphany’s Litfest.